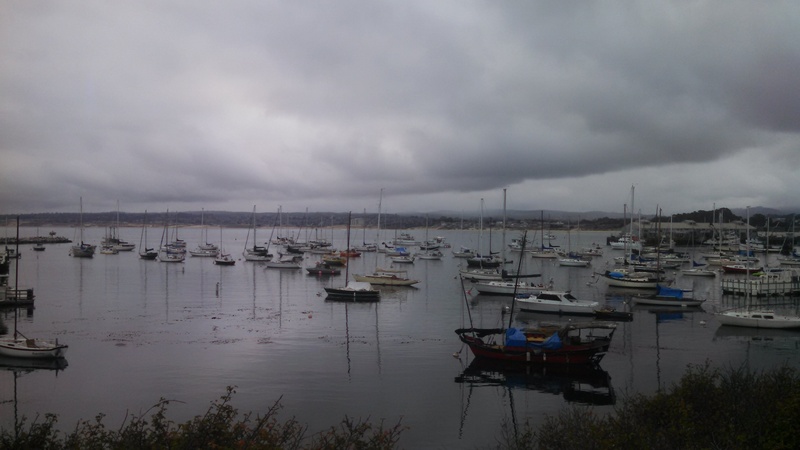 On my ride into work this morning I stopped and took a picture over Monterey Bay. It was a cloudy dark morning. It actually spit a few misty rain drops on me this morning. I’ve missed the rain. It’s been a long time since we’ve had it here.